Systel is committed to the highest quality products and service that has earned the reputation of the Southeast's leader in business equipment. Systel has been locally owned and operated since 1981. Each regional office has the ability to make decisions on the customers’ behalf. 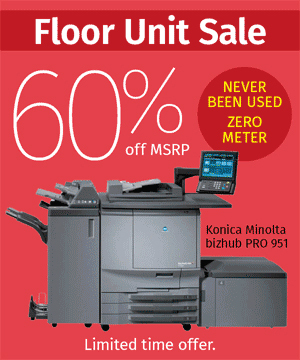 Systel continues to be the Southeast’s largest independent dealer of office equipment. Systel provides each of our service personnel with a company vehicle, fully stocked with parts. Each service vehicle is equipped with the latest GPS technology. When a service call is placed it is forwarded to the technician nearest the customer. Systel’s average response time of 2.5 hours has set a new Industry standard over the average benchmark for the Industry of 4 hours. Systel is equipped to service our customers’ office equipment, sometimes even before they are aware that there is a need. With electronic communication software, Systel has taken the headache out of placing service calls, meter readings and ordering supplies. Systel Service Technicians are among the most highly skilled and trained in the Industry. We strive to maintain Industry Leading service through continuous training for our service technician staff. Systel proudly serves the Southeast with 10 regional offices in North Carolina and Georgia. As partners with Ricoh, Konica Minolta, HP, Lexmark and Panasonic, Systel has the capacity to supply office equipment in NC, GA and SC. With training centers in both Fayetteville and Greensboro NC, Systel’s technical expertise is specifically to serve our customers as efficiently as possible. Due to our latest investments in software technology, our customers have the ability to places service calls, order supplies, and manage their entire account online through our E-info program. Our Systel owned, no cost software, Labrador is a safe, secure and efficient way to retrieve meter readings on your office equipment. Labrador automatically collects the meter reads from your equipment the day they are due. In locations that have office hours outside of the normal 8:00am-5:00pm, Systel will place a backup Copier ready to plug in and use at any time in case of an afterhours emergency. We realize that large organizations sometimes require special invoicing. That’s why we offer Customized excel invoicing that can be tailored to any format you would like to utilize that fits your financial office’s needs. In addition, Systel’s back end software allows for a wide range of customized monthly, quarterly, or annual service reporting capabilities for a customer’s account broken out by equipment and locations.